All Posts Tagged With: "HSN"
Jennifer Lopez will be the latest celebrity to launch a fragrance with interactive multichannel retailer, HSN. The superstar will launch her new fragrance, Love & Light with numerous live appearances on HSN this Saturday, July 2nd, 2011. Throughout the day, Ms. Lopez will share with viewers personal stories about her inspiration behind building a global beauty brand, the development of her latest fragrance, her momentous career, and her life. Elizabeth Arden, one of the most recognized and trusted names in the world of beauty, has partnered with leading interactive multichannel retailer, HSN to introduce its impressive portfolio of beauty products to millions of HSN customers. Experience the latest innovations in Elizabeth Arden’s Prevage and Ceramide lines. When: Tune in to HSN on January 25th, 2011, at 2 a.m.; 6 p.m. and 11 p.m. (ET) for the launch of Elizabeth Arden on HSN. 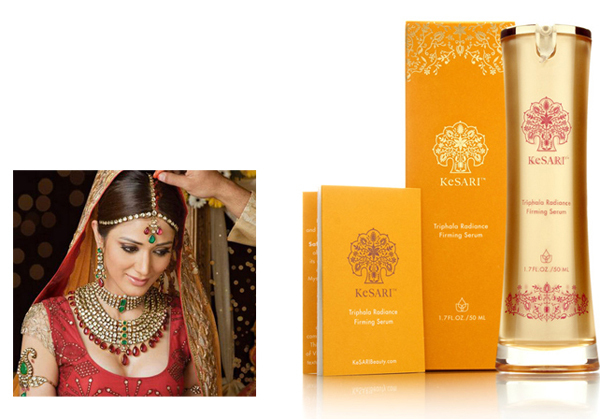 Exotic Beauty: KeSARI Triphala Radiance Firming Serum is made from the time honored, indian extracts, Triphala and Saffron under the direction of India native Richa Purohit. BTW Eve is a fan of the product. Available for the first time tomorrow, August 7th, 2010, on HSN, tune in at 7:30AM and 6:30PM EST and again on Sunday August 8th at 6:30AM and 12:30PM. HSN and Mary J. Blige are launching Mary’s fragrance “My Life” exclusively at HSN this Saturday, July 31, 2010, at midnight (12 AM EST). This ground breaking launch marks the first time a fragrance My Life NEW perfume by Mary J. Blige: will be launched exclusively through a multichannel retailer. The fragrance is a first from Mary J. Blige and the first celebrity fragrance to be developed by Carol’s Daughter. HSN has developed unique video footage only available to view at hsn.com. Watch: Mary’s journey in creating the fragrance and her personal stories. Lancôme will be on an HSN whirlwind this Saturday, June 19th, 2010. A series of six shows (from 12am to 9pm) will showcase Lancôme’s most buzz-worthy skincare and makeup products, perfect for easy shopping. We’re especially excited over the Génifique set, a “Today’s Special” that’s exclusive to HSN. This set includes the CEW Award winning Génifique Youth Activating Concentrate, along with Génifique Eye (Marta Walsh’s ultimate favorite) and a Génifique Repair packette. At just $78, it’s truly a deal worth checking out. Also, tune in to check out Lancôme’s fabulous head of education, Joan Poulton, along with national makeup artist Robert Cook. We are told you won’t be able to resist their expertise…and charms. SALON by Sally Hershberger debuts on HSN March 8, 2010 at 10 p.m. and March 9, 2010 at 6 a.m., 10 a.m. and 3 p.m. ! 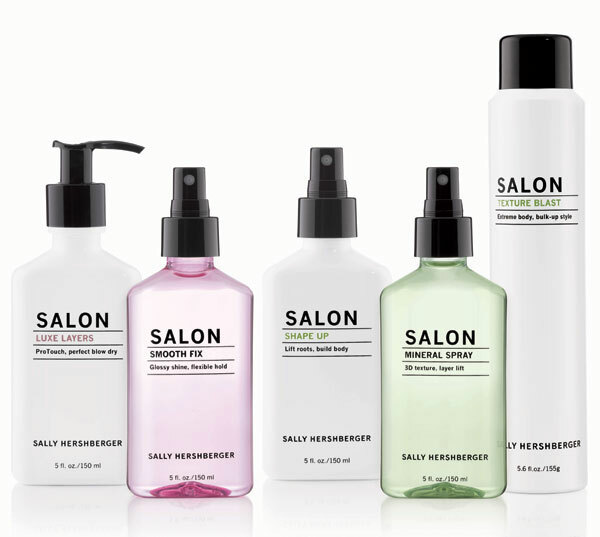 SALON by Sally Hershberger is a collection of five styling products that marry technique with technology, they offer lightweight, multi-tasking stylers that deliver long lasting styles, while also nourishing and repairing the hair. Shop Away With Stila on HSN! Tune in to HSN tomorrow, Tuesday, September 2nd AND Wednesday, September 3rd! Stila Pro Jeanne Tamayo is taking over the HSN airwaves! Jeanne will be featuring exclusive Stila sets for HSN as well as insider beauty secrets. You don’t want to miss it! Show times in image below, also check Stila offerings! Sally Hershberger to debut her latest product, Luxe Layers Protective Blow Out Gel on HSN September 8th & 9th, 2009. 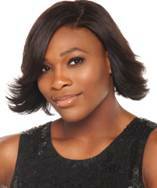 On July 23rd and July 24th, Serena Williams, a MISSION Skincare co-founder, will appear on HSN to launch her luxe new skincare line called MISSION Skincare Active-Beauty Line: Featuring Serena Williams. The products are engineered to offer proven solutions for the demanding active lifestyle of today’s woman. The signature hero product is the Oxygen-Active Daily Facial Cleanser, engineered with a unique, self-foaming oxygenating technology that cleans impurities, removes makeup, nourishes and renews skin in only 90 seconds. Antioxidant properties help fight free-radical damage and environmental aggressors. The result? Skin that appears younger and healthier looking – all for $39.99.